Gomer's Diesel Inc. was established in 1938 to primarily service the local farming communities in Montana. A lot has changed since then and Gomer's Diesel Inc. has not only adapted to the changes in the diesel industry but has grown to become the #1 diesel shop in Western Montana and well beyond. 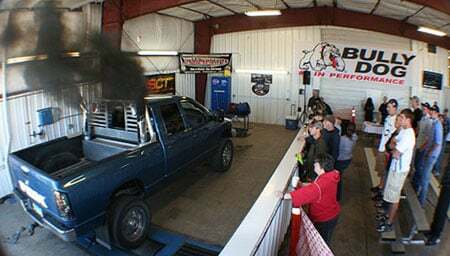 We still help out our agricultural and industrial friends with all of their diesel needs, but most people have come to know that the folks at Gomer's Diesel Inc. are the experts when it comes to diesel trucks and aftermarket diesel performance. We aren't just another "parts reseller". 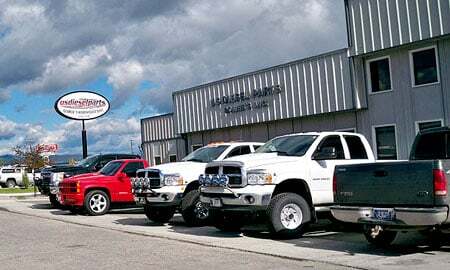 Our Missoula facility has grown to include a 20,000 sqft building that includes a website design and support team, a full product showroom, a diesel fuel injection shop, a turbocharger rebuild facility, DPF Cleaning facility and a full service drive-in shop that includes seven bays and a Mustang MD-1100 dynamometer. Our well trained and experienced crew works on these trucks every day. We're familiar with everything from the early 6.2L GM's and 6.9L IDI Ford trucks right up to the latest Cummins, Duramax and Power Stroke rigs just rolled off the showroom floor. We can handle all aspects of diesel truck repair including engine, drivetrain, turbochargers and fuel systems at prices that won't break the bank. The number one goal at Gomer's Diesel Inc. has always been to offer the best service to our customers and keep up with the latest diesel technology. We have met and surpassed that goal and we are proud to still be going strong. So whether you're needing basic maintenance service and repairs or you're looking to build a hot rod truck that will dominate at the track, then give us a call at (800) 823-4444 and we can help you out. "For over three generations, Gomer's Diesel & Electric has been committed to customer satisfaction in service, quality of products and parts, and competitive prices. This was a pledge that was good in 1938, and is still good today. Thank you for making our success possible."